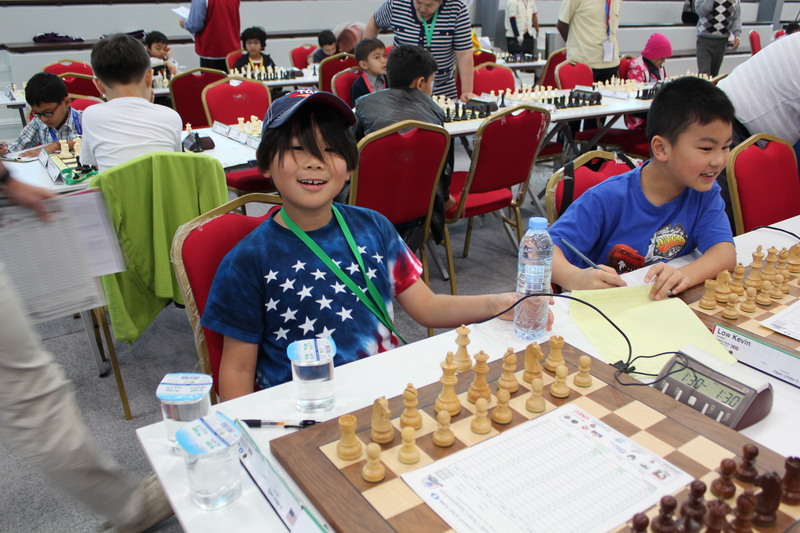 We have made it through the tournament and celebrated the US medals in the Open U10 category — Awonder Liang with 10 points won the gold, and David Peng with 9 points took silver. There were a couple of 4th place finishes and one of Drew’s new friends, Maximillian Lu finished in 5th. 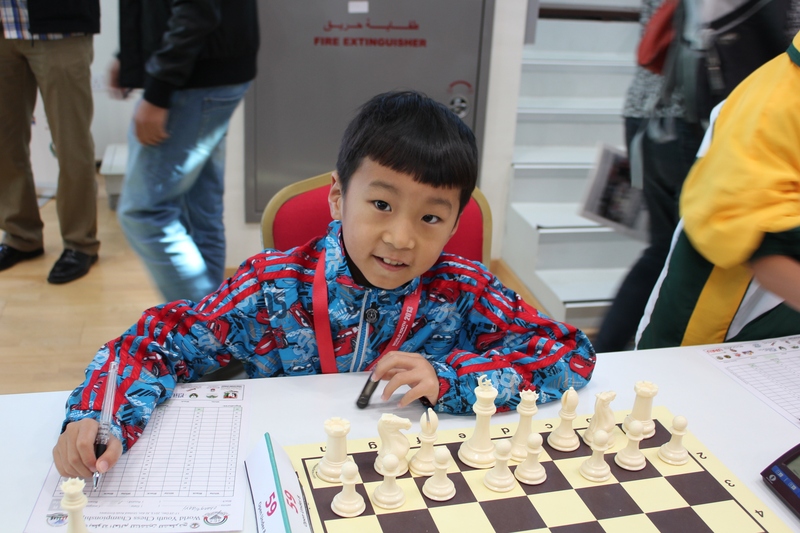 Maximillian Lu, top US finisher for the U8 section. Drew played a great last round, but couldn’t quite finish off his opponent, ending up with a draw and a total of 5 points for the tournament. 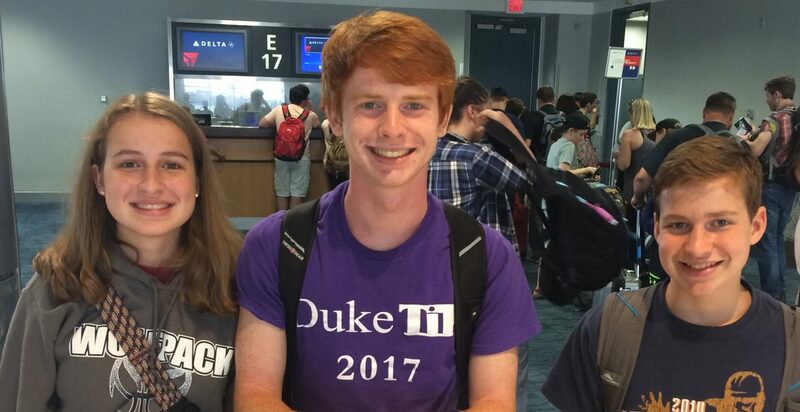 He placed 107th for his section, narrowly missing his goal of being in the top 100. 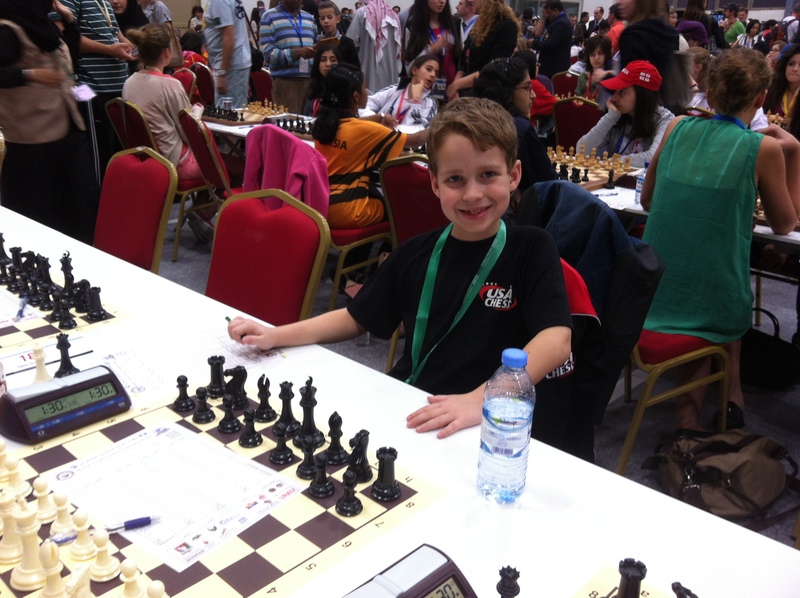 Drew is the youngest member of the US team, so he has another year to compete in the U8 section. 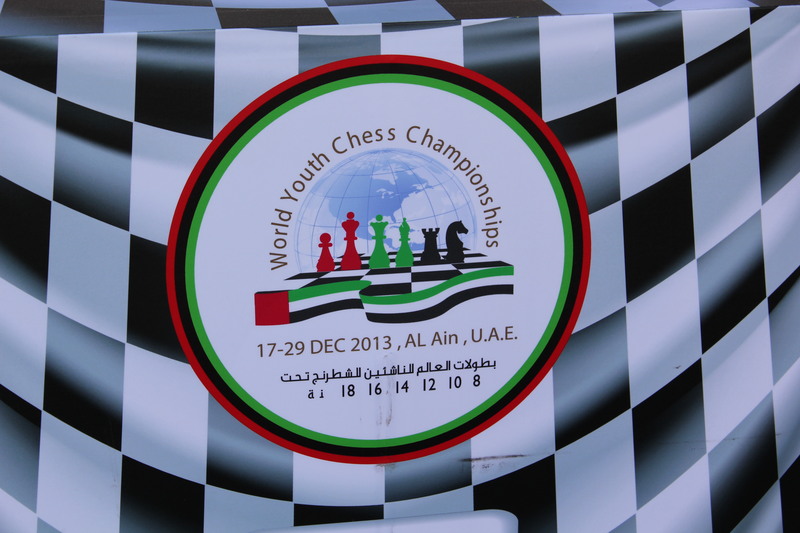 To do so, he will have to qualify by improving his rating before the end of February, so no chess break for now 🙂 I don’t think that will be a problem for him though as the only thing he wanted to do tonight was play chess in the lobby of the dorm with the other players! Drew’s round 11 opponent, Qianyi Zhang from China. While I was waiting for Drew to finish his last game, I looked up and noticed World Champion Garry Kasparov about 10 feet away. I was able to snap this picture of him with one of the Sheikhs of UAE before he was mobbed by the players and parents. 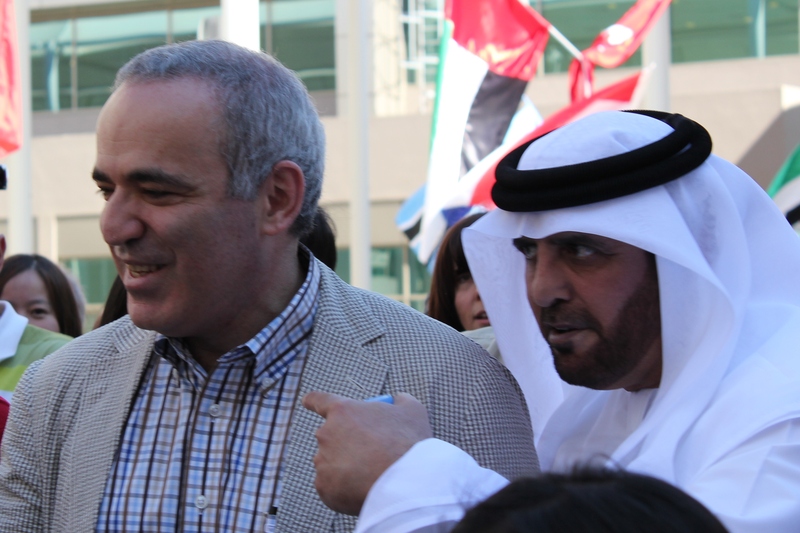 Garry Kasparov with one of the Sheikhs of UAE. The Sheikh bears a close resemblance to Sheikh Khalifa bin Zayed al Nayhan, the ruler of UAE, but I cannot confirm for sure that it is him. I must also mention that Drew finished up the blitz tournament this afternoon and won 4 out of 7 rounds, which gave him a top 50 finish. It was a wonderful experience, but tiring, so we are all hitting the sack so that we can rise early for a long day of travel. On the docket for tomorrow is a visit to the tallest building in the world before we catch our plane home.